Onduparaka and SC Villa will on Tuesday afternoon clash for the last spot in the inaugural FUFA Super 8 final at the GreenLight Stadium. KCCA FC who defeated Nyamityobora 4-0 last week are waiting to face the winner between the Caterpillars and Villa, in the final. Today’s hosts overcame StarTimes Premier League new comers Ndejje University on penalties and will be hoping the same luck befalls them when they take on 16 time record league champions SC Villa. In the dugout for the Caterpillars will be Asaph Mwebaze, a former Maroons tactician who was acquired last week to replace Livingstone Mbabazi. Mwebaze will have a chance to make a dream start to life in Arua, something he is optimistic will happen on Tuesday afternoon. “Team is in proper shape thanks to coach Adraa (Leo) and Masaba (Simone) who have been with the boys before i came. Said Mwebaze in a press briefing ahead of the game. “I have worked with them for a week and i can confidently say it’s a very good team and we are in position to win against Villa. 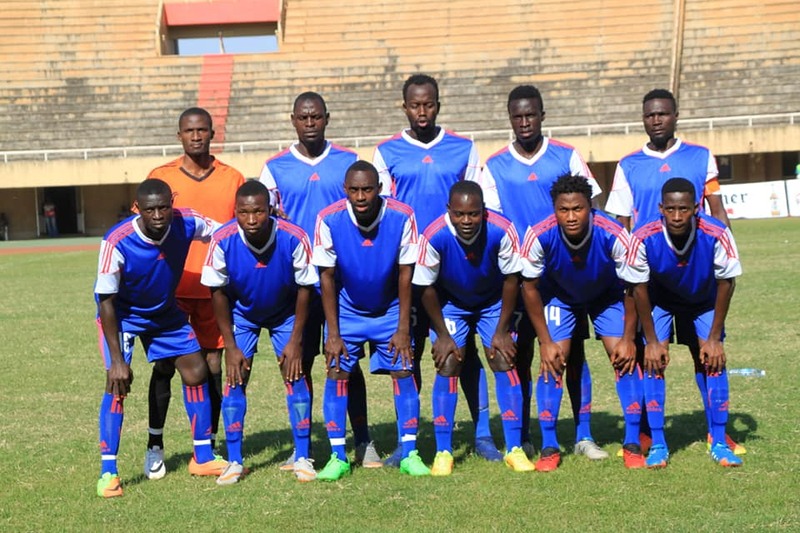 About SC Villa, Mwebaze dismissed claims that the record league champions are a weak side despite the massive exodus that has gone at Villa Park in the last few months. “What has been said that Villa is a weak team, i disagree with that because Villa is Villa, continued Mwebaze. “They are a premiership team and we expect them to be ready for the game but possibly we shall be on top of the game after 90 minutes. All eyes will be on Mwebaze as he faces an uphill task of bettering Onduparaka’s last season which saw them finish 4th, their best league position since promotion to the top tier two years ago. For Villa, they overcame URA 1-0 in the quarter finals at Namboole to get here. They are a much changed side from the one that finished third last season as most of the first team left for greener pastures and so did the coaching staff. They are currently under the guidance of former Uganda Cranes head coach Moses Basena who has already started re-building the side. He has brought in the experienced trio of Habib Kavuma, Savio Kabugo and ex Villa captain Mike Sserumaga to try and help as he tries to shape-up a side able to compete next season. This will be the fifth competitive fixture between the two sides. There has never been a draw in any of their past four meetings (all in the premier league). The last meeting saw SC Villa defeat Onduparaka 1-0 at the GreenLight stadium on 10/03/2018, the only time an away side triumphed in this fixture. The four meetings have seen 14 goals scored including a 4-3 win for Onduparaka in October 2016.